I was pretty busy at home the past few days, hence my absence. I finally got to finish fixing up my little crafty corner. I can't believe I got everything to fit in the cabinets. I have a ton of stuff. As in. So I'm very happy I squeezed everything in somehow. But you know what? I think I'm going to tweak the arrangement of all the shelves again. So I'm not ready for the big reveal just yet. 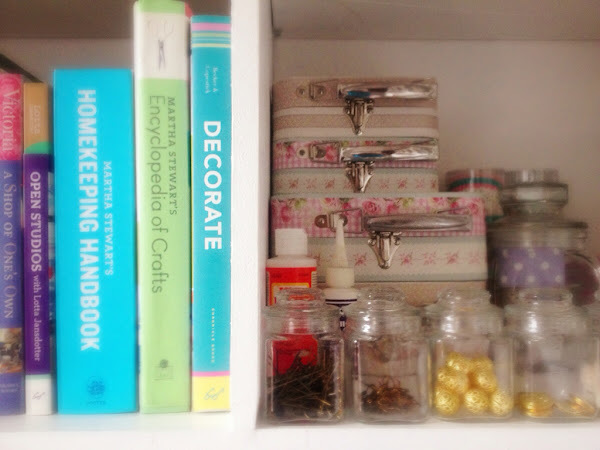 Speaking of fixer-uppers, how are you liking my blog makeover so far? Here's the before and after photo. 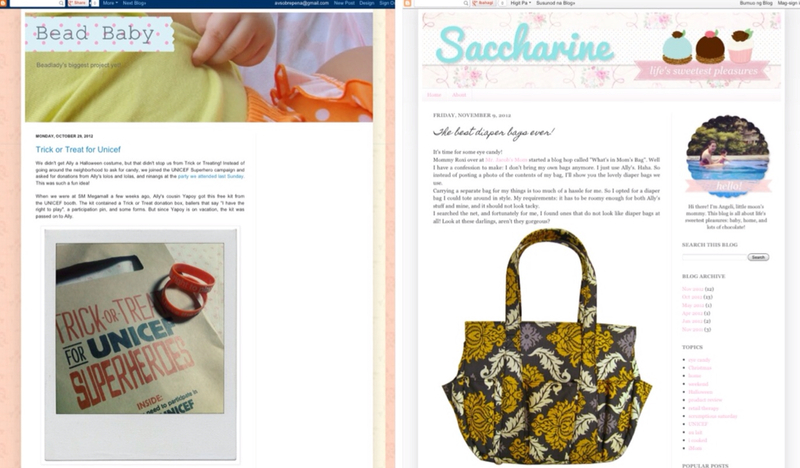 The one on the left is what my blog looked like a month ago. And on the right is what it looks like today. I completely DIY'd the theme. I don't have the funds to purchase even a pre-made design. So after a lot of trial and error with the code, I got to tidy up the blog a bit. I even gave it a new name! From Beadbaby, it's now called Saccharine: life's sweetest pleasures. More about that here. And if you've noticed, I am writing more often! Yay! From the once in a blue moon posts early this year, this is a huge improvement for me. Haha. I also introduced two weekly columns: Eye Candy Mondays and Scrumptious Saturdays. Eye Candy is all about my lovely finds - pretty stores, cute things, gorgeous interiors, great design. I'm doing it on Mondays because I want to send you off to a brand new week with some sugar rush! Hihi. Scrumptious Saturdays are all about pigging out on yummy food. Perfect for the weekend. You see, I'm trying to take blogging a little seriously. It's become my main creative outlet these days, so I want to do it right! I need the mental exercise - beecoming a good writer takes lots of practice. So my goal for 2013 is to blog more often. I would appreciate any feedback about this little blog of mine! What posts did you enjoy the most? What do you want to see more of in the future? like your blog's new name! Wow, glad I inspired you! Thanks for the feedback and for dropping by my blig!